Product prices and availability are accurate as of 2019-04-15 12:01:05 EDT and are subject to change. Any price and availability information displayed on http://www.amazon.com/ at the time of purchase will apply to the purchase of this product. 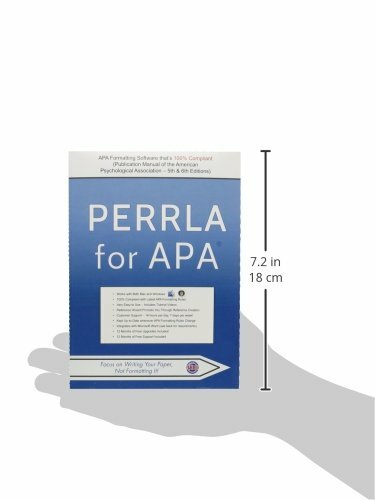 Since we introduced PERRLA in 1998, it has been used by more than 285,000 students on over 3,000 university campuses. PERRLA seamlessly integrates with Microsoft WORD and automatically formats your paper in accordance with APA style requirements. 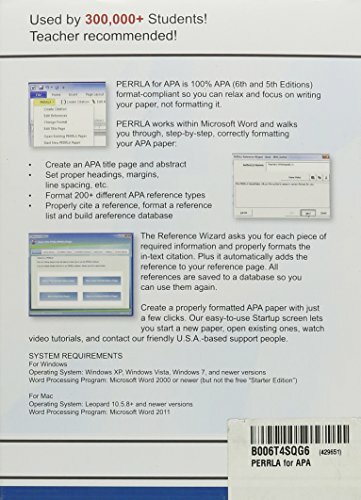 The Reference Wizard steps you through more than 200 APA reference types. Simply fill in the blanks and PERRLA creates your in-text citation and automatically builds your reference list. It also saves each reference in a database for future use. 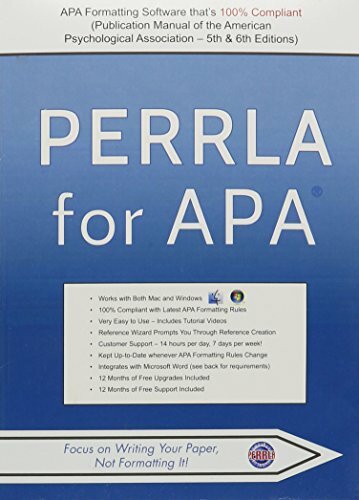 Students love us because PERRLA is so easy to use and OUR CUSTOMER SUPPORT IS THE BEST in the industry. Teachers recommend us because they know a PERRLA paper is a perfectly formatted paper.